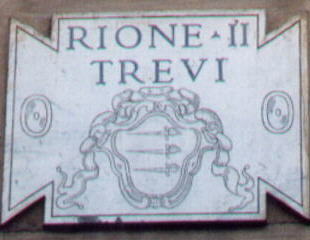 Rione Trevi is named after the large Fontana di Trevi at the centre of the rione. It includes the western side of the Quirinale hill and the plain between this hill and Via del Corso. It borders to the west on Pigna, to the south and the east on Monti and to the north on Colonna and the walls of Rome. 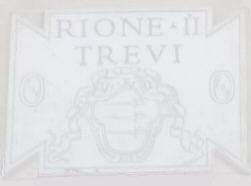 Three swords are the symbol of Rione Trevi (Trevi is a corruption of trivio, three streets). 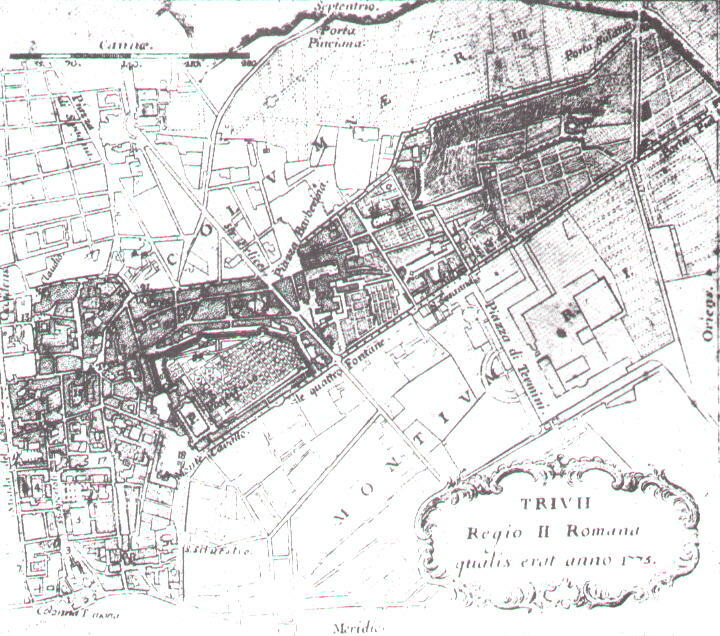 Ruins in Giardino Colonnese and in Horti Sallustiani are the only surviving evidence of ancient Rome in this rione. The two statues in Piazza del Quirinale come from nearby Rione Monti and the obelisk in the same square comes from Mausoleo di Augusto. Rione Trevi has some of the most imposing palaces of Rome: Palazzo del Quirinale and Palazzo Barberini were built between the end of the XVIth century and the first half of the next century on the Quirinale hill, when the area was almost considered countryside and they did not have space limitations. 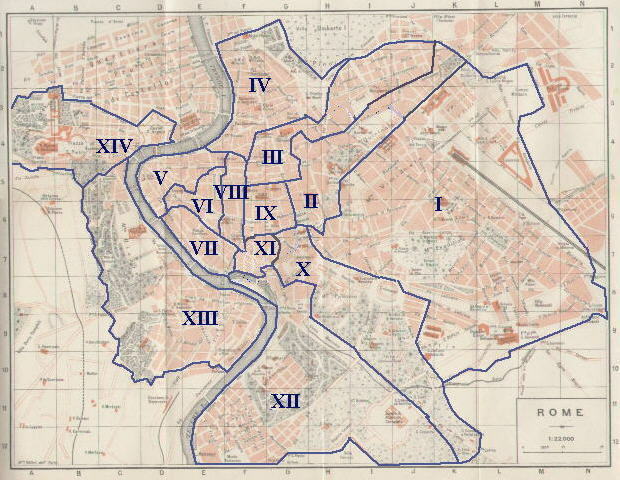 Other interesting palaces of more or less the same period are Palazzo Sciarra, Palazzo Colonna and Palazzo Odescalchi, all between Via del Corso and the Quirinale hill. SS. Apostoli is the main church of the rione, while the façades S. Susanna by Carlo Maderno (1603) and S. Marcello by Carlo Fontana (1683) mark the start and the end of Baroque architecture in Rome. Elegance and a bit of folly are the main characteristics of the decoration of many palaces in Trevi. 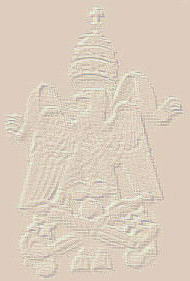 The prevalence of XVIIth and XVIIIth century architectural patterns is very evident also in minor aspects. 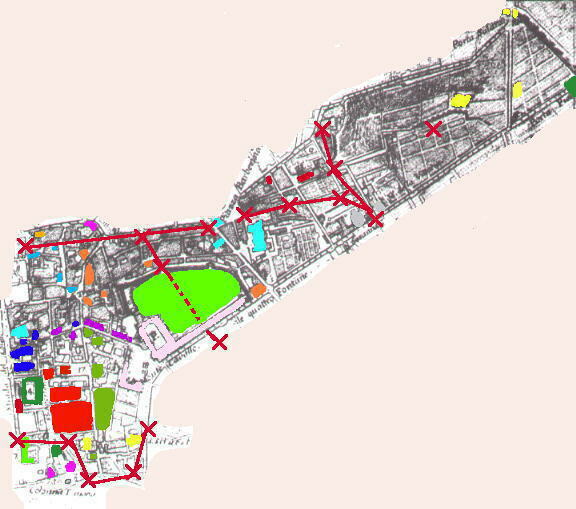 d) several X linked by a line in the lower part of the map: in 1878 a new street was opened to link Piazza Venezia with Via Nazionale and the railway station. Palazzo Bolognetti (lost) With monuments of Pigna. Chiesa dei SS. Andrea e Claudio dei Borgognoni With monuments of Colonna. Palazzo Del Bufalo With monuments of Colonna. Palazzo Galloppi With monuments of Monti. Chiesa di S. Niccolò da Tolentino With monuments of Colonna. Chiesa di S. Basilio With monuments of Colonna. You can start your tour of Rione Trevi from Porta Salaria. You can also have a look at it from the Janiculum: S. Andrea della Valle and Quirinale.